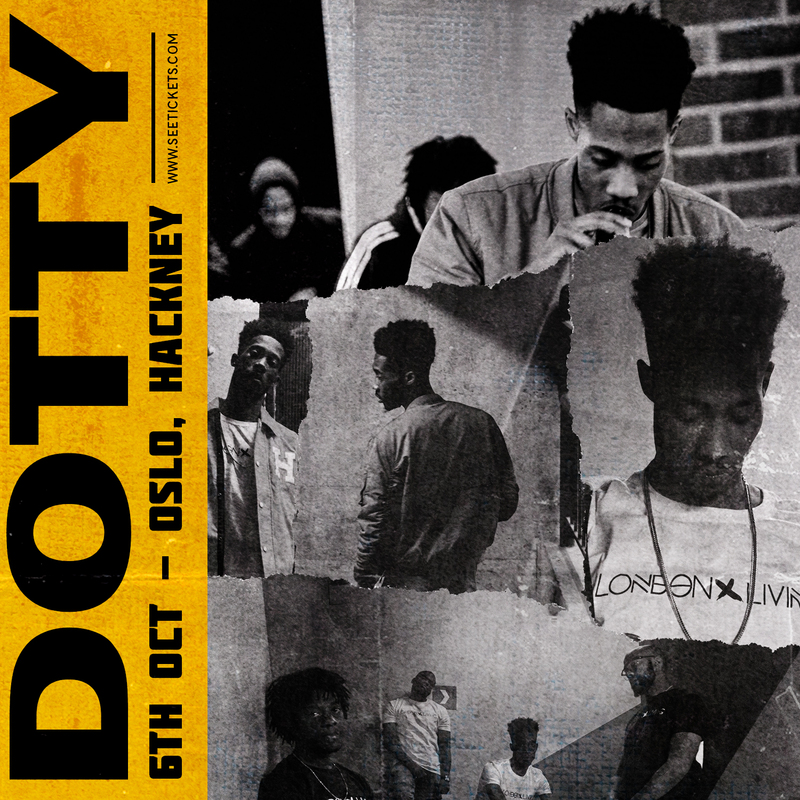 South London rapper Dotty announces his first ever headline show at Oslo, Hackney on 6th October. After his mixtape A Collection Of Sounds was received to critical acclaim, the artist sets to take over the East London venue for a night of his genre-defying sound and aptly naming the event ‘Thought Night’ which perfectly sums up Dotty’s conscious lyrics and musical direction. Dotty offers an electric unmistaken delivery that flows naturally into his Rolls Royce level of storytelling which captures your imagination and transports you to a world of the streets, family, love, conflict and inner city life.